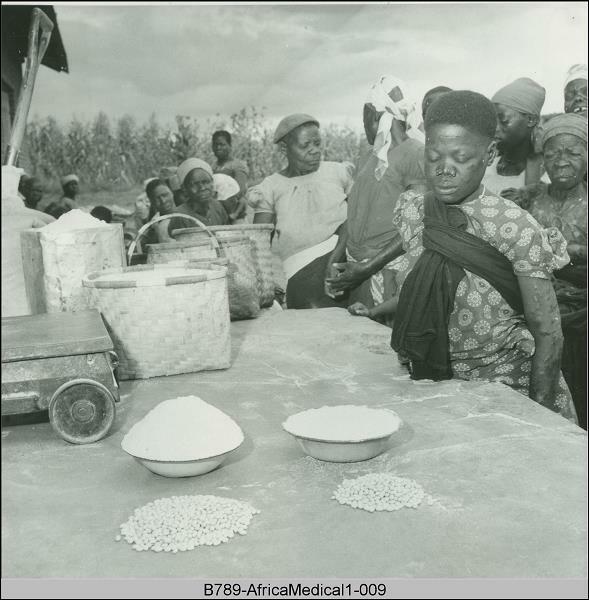 Mwami Leper Colony - Lodas Lungu looks at the daily rations. To the left is what they should get but to the right is what they get. The lack of funds is the cause.